If you’re in NYC in late May, you should check out BookExpo America, one of the nation’s largest book expositions. The Combined Book Exhibits hosts BookExpo America in New York City during the dates of May 27th to may 29th. 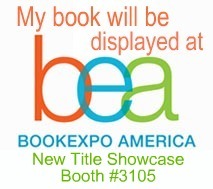 My first novel, The Silver Ships, will be exhibited in the section entitled the New Title Showcase. For the first five people who visit the BEA and send me a selfie holding my book, with the BEA display in the background, I will send you a signed high-quality 21″x 30″ poster of the The Silver Ships cover art. Send your photo to scott@scottjucha.com. This entry was posted in Readers, Uncategorized on May 17, 2015 by Scott Jucha. Watch my interview with U.S. Navy physicist Dr. Matthew Foster as we discuss nanotechnology in The Silver Ships. Dr. Foster hosts a blog, Quarky Trons, that examines the use of hard science in today’s science fiction novels. He and I discuss the many uses of advanced technology that I incorporated into the Silver Ships. I hope you enjoy. This entry was posted in Readers, Uncategorized on May 9, 2015 by Scott Jucha.